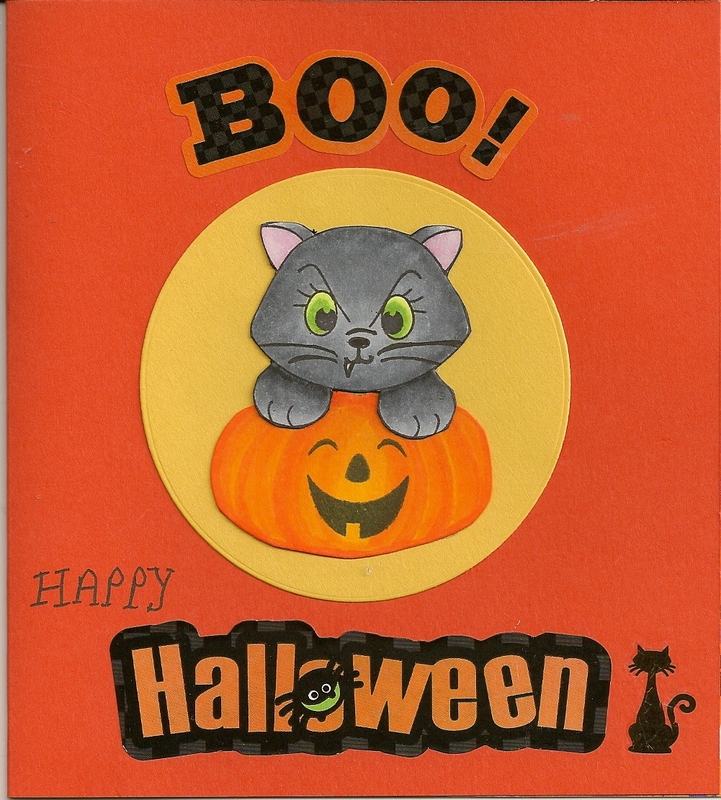 Here is my latest addition for a Hallowe’en card to the vet this year from “Boo” our black cat. To make the card I used orange cardstock. 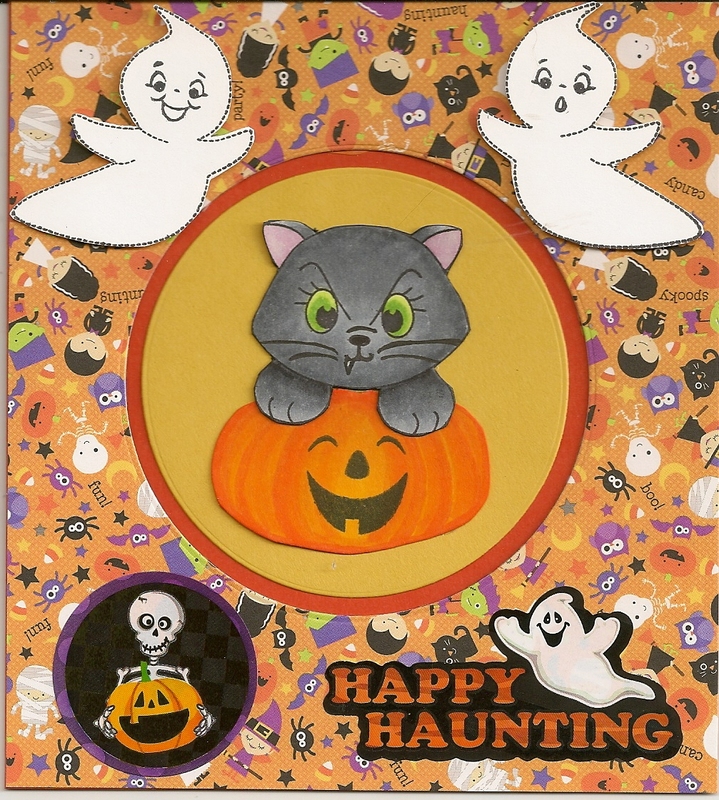 I then layered the front with some paper from Doodlebug Design Inc. Hallowe’en Parade. Used my Cuttlebug and Nesting circle cutting die to cut a hole through the front of the card. I used a smaller circle die and some yellow cardstock to make the moon on the inside of the card. I used Mememto ink to stamp the pumpkin using a stamp from PKSC-09_September 2012. Then I used copic markers to colour and outline the stamp. For the face I used PKSC-22_October 2013. Next I used just the face portion of the cat from PK-1333 Faceless Puppy and Faceless Kitten and the kitten face that also came with the stamp. Coloured in the stamp using Spectrum Noir markers. The ghosts were made using PK-131 Happy Haunting Ghosts. PK and PKSC are all stamps from Peach Keen Stamps. Lastly, I added a few embellishments to finish off the card.